Did you know that 1 in 5 people every year are so mentally distressed that they don’t take care of themselves, their jobs or their lives? Probably not. Because people usually don’t talk about it, and even less so seek help. If you have a loved one who has been through this, you probably already know that seeking help is often the hardest step. Most people struggle with this step the most don’t get the help they need. Research has found that over 90% of those in need of care don’t receive any. But why? 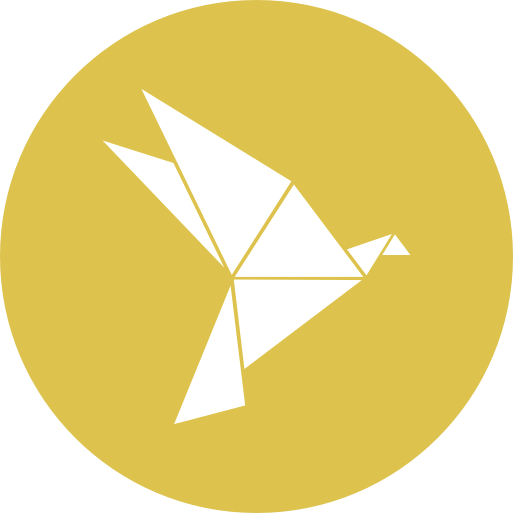 In theory it seems so simple – get the help you need, when you need it, and work through your problems, right? But of course it’s not. And we all know how hard it really is. But I don’t think it has to be! 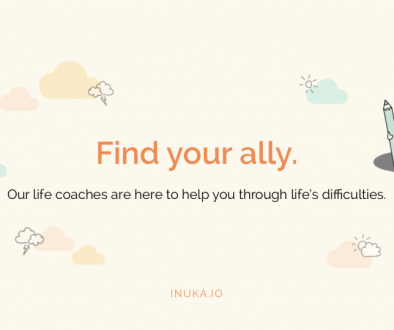 I am a Psychology student interning at Inuka and I am trying to understand what prevents us from seeking help in moments when we need it the most, because I think the first step towards seeking help is understanding what is holding us back in the first place. Through my research, I have identified the 10 most common barriers that prevent people from getting help. By sharing them with you I hope we can find together ways to break these barriers! The stigma or taboo surrounding mental health is a big one. In many cultures, this results in a lot of fear and shame surrounding issues pertaining to mental health. Unfortunately this has the effect that people are often afraid to admit to any mental health struggles out of fear of losing face or in some cases even discrimination. People often don’t seek help because they don’t think they need help. For instance, they might be showing clear signs that they are struggling and need help but they won’t acknowledge that there is a problem.Like with most things – the first step towards solving a problem is admitting there is a problem in the first place. This goes for you too – the first step towards seeking help, is accepting you need help! Often times, even when people do think they have a problem or acknowledge that they are struggling, they might not be aware of the significance or severity of the problem. Also, they might not know what warrants getting help or know that they can get help for their problems. This usually means that people wait until things get a lot worse before getting help. People are often afraid of admitting something is wrong or that they are struggling because they think that in doing so they will be a failure or inadequate or weak. People often find it difficult to trust and confide in a stranger with (often) very personal information. They also maybe don’t want their identity known. This can leave seeking in-person help out of the question because it would compromise one’s identity. The feeling of hopelessness often prevents people from seeking help. Some people reach the point of feeling so low and stuck, they believe nothing could help them. Even if you want to get help, it’s hard to know where or how to start! The administrative tasks involved in seeking help are often times so overwhelming – especially when one is already struggling – that people just give up and don’t seek help after all. And sometimes, even when people do manage to go through the whole administrative mess of seeking help and trying a solution out, such as seeing a particular therapist, it might not help in that instance or it might not be a good match. This can be really demotivating and people often give up entirely before trying out other options until they find something that works. Local care is often lacking. So even if people want to seek help, there aren’t options available to them. Even if there is local care available, it’s often inaccessible due to various practical barriers including: (1) lack of funds – people often can’t afford the cost of care (2) no reliable transport options (3) no child care (4) unable to take time off work or school, and sadly very commonly (5) long waiting times. So, even when people manage to over-come all the barriers, practical and otherwise, and successfully seek help, the waiting times at clinics or care facilities to see anyone are so long that they won’t be seen for a very long. With this all in mind, what are some steps you can take to make it easier to reach out? Learning and familiarizing yourself with the barriers that can prevent you from seeking the help you need. Which you just read – so, done! If you feel you are struggling and are in need of help, but are not seeking or receiving it, the next step is identifying what barrier is currently holding you back. Did anything from the list earlier speak to you? It could be more than one. And it could be, that your particular barrier isn’t listed. Either way, try to pinpoint what exactly is preventing you from getting the help you need. The next step is finding a solution that works for you. A good solution will be one that addresses your concerns and helps you find your hero within; one that breaks down the barriers preventing you from seeking help, and most importantly one you feel safe and comfortable. And such a solution might be Inuka! 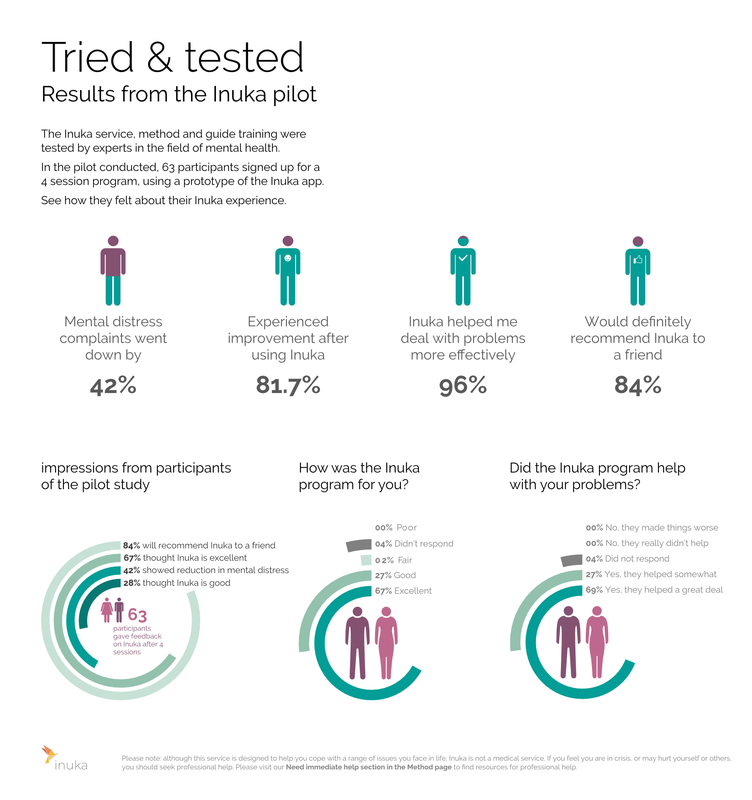 To read more about how Inuka can help you and how Inuka breaks down the barriers of seeking help, read our next blog post. Expert insights on stress: what is it and how to deal with it?